Channing Tatum has officially been cast to play fan favorite X-Men, Gambit in future ‘X-Men‘ films. He has expressed a lot of interest before in playing this iconic character, but nothing was certain. That is until yesterday when at a ‘X-Men: Days of Future Past‘ red carpet event, producer Lauren Shuler Donner confirmed that Tatum was indeed going to play Gambit. She said, “Well, he’s a rogue, Channing, he’s a rascal, just like Remy LeBeau. And he can handle the action, we all know that. And he’s got a really good heart, because I know him personally, I did a movie with him (‘She’s The Man‘). So I think he’ll be great. He’ll be great for Gambit. And he’s a Southerner, too. He’s not from New Orleans, but he is a Southerner, he understands that world. And you know Gambit loves New Orleans.” Donner also went on to say that Channing is confirmed to play the part. Director Bryan Singer said that he wants to put Gambit in ‘X-Men: Apocalypse‘, which is the sequel to the ‘X-Men‘ movie coming out in a few weeks. 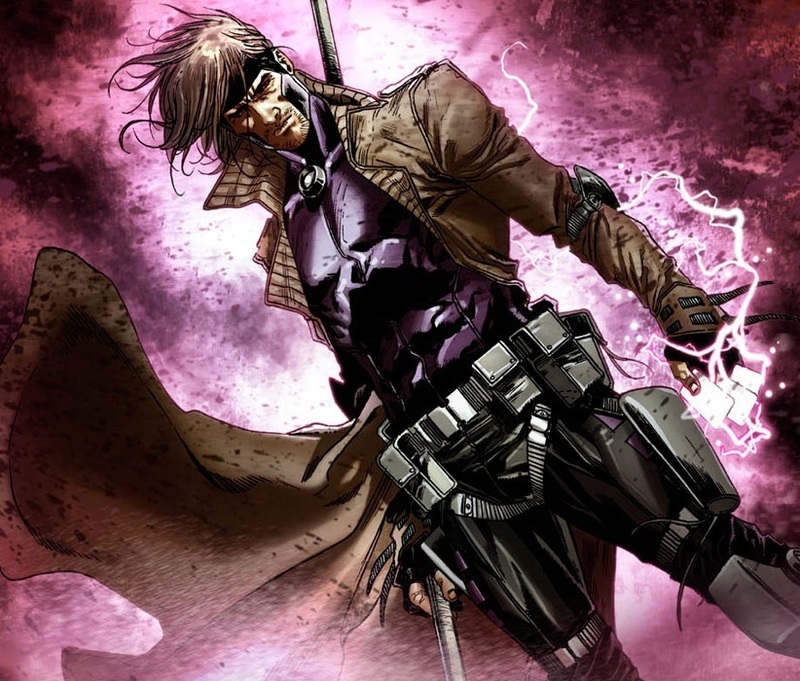 So I expect we will see Gambit in 2016 when Apocalypse comes out with a big possibility of Gambit receiving his own movie. Check out a clip of the confirmation from Total Film below. This is EXCELLENT news! Tatum will do a phenomenal job with this. This entry was posted on Tuesday, May 13th, 2014 at 11:30 am	and is filed under Comics, Film, News. You can follow any responses to this entry through the RSS 2.0 feed. You can skip to the end and leave a response. Pinging is currently not allowed. « Re-Cast: ‘The Three Amigos’! !